Welcome to the St. Urban's Music page. As part of each period of musical history, we will learn about and listen to the music of three key composers of the era. These are also listed on the above document. The term 'classical' is often used to describe music that is not rock, pop, jazz or another style. 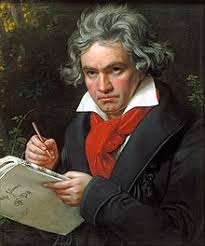 However, there is also a Classical era in music history that includes compositions written from about 1750 to 1830. Most music of the classical period has a clear tune. There is little of the weaving together of different tunes like you hear in baroque music. This means that music from the classical period often sounds much simpler than baroque music. Music from the classical period keeps changing volume. It keeps changing in many other ways as well. You will notice these as changes of mood. The same names keep coming up over and over again in music of the classical period. For example, you will see lots of symphonies, sonatas, and concertos. Each of these is a style all of its own! string quartet and the symphony. 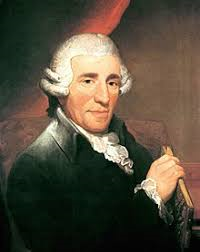 In fact, even though he didn't invent it, Haydn is known as the "Father of the Symphony." made huge wooden carts and wagonwheels. His mother was a cook. He preferred to be called 'Joseph', rather than 'Franz'. an excellent pianist and violinist. He and his sister Maria Anna traveled all over Europe performing for royalty. of himself as a servant. masses, and chamber music. Today, he is still considered a genius! while, even though he was still only a boy, Ludwig became a traveling performer and soon he was supporting his family. 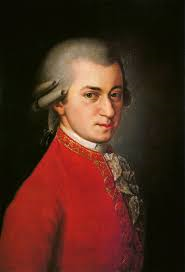 composed some of his best music after he was deaf! music and string quartets, and an opera. 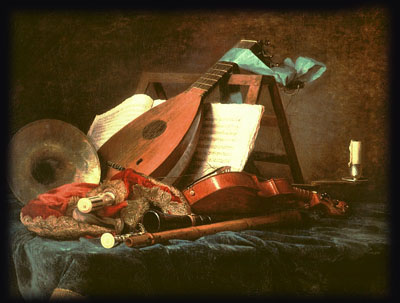 The period called 'Baroque' in music history extends roughly from 1600 to 1750. Baroque music is tuneful and very organized and melodies tend to be highly decorated and elaborate. Conflict and contrast between sections in a piece and between instruments are common, and the music can be quite dramatic. defining point in music history. It marks the end of the Baroque Era. 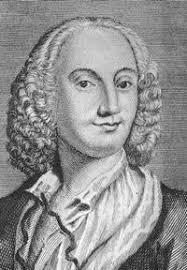 Antonio Vivaldi was born on March 4, 1678 in Venice, Italy. Antonio's father, Giovanni Battista, a barber before becoming a violinist, taught young Antonio to play the violin and then toured Venice playing the violin with him. to compose non-academic music which means it would be enjoyed by many people rather than just college professors. It was these qualities that made Vivaldi's music very popular. Vivaldi's The Four Seasons, composed in 1723, is a set of four concertos for violin. It is his most popular work and is among the most popular works of the Baroque Era. For this composition he wrote sonnets to match each season. seventh birthday which Handel played whenever he had the chance. River Thames. The concert was performed by 50 musicians playing from a barge positioned closely to the royal barge from which the King listened. It was said that King George I enjoyed it so much that he requested the musicians to play the suite three times during the trip! 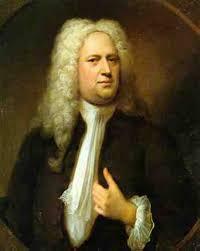 By 1740, Handel completed his most memorable work- the Messiah. It is said that when the king first heard the "Hallelujah Chorus" he rose to his feet. This tradition continues today. 'Renaissance' is the French word for 'rebirth'. The period of music history from around 1400 to the early 1600s that coincided with a revival of interest in art, architecture, literature, and learning throughout Europe. With this period, a new, more complicated type of music was born. This music featured a far broader range of harmonies and structures. Although music in the Renaissance period was still mainly written for use in churches, towards the later end of this era, music was no longer just written with a religious focus but dramatic works and the very first operas. Thomas Tallis was one of the greatest early English composers who was born in Kent in 1505.He was a Catholic, and remained so, even though this was not allowed by some Tudor kings, such as Henry VIII. Most of his music was, for this reason, written for the church. Almost all of his music was written for singing voices- with no instruments playing at all. In fact, one of his most famous pieces, 'Spem alium' is written in 40 parts, meaning you need at least 40 voices to sing it! For the last ten years of his life, Thomas and another key composer of this period, William Byrd, were the only composers who were allowed to print music in England! 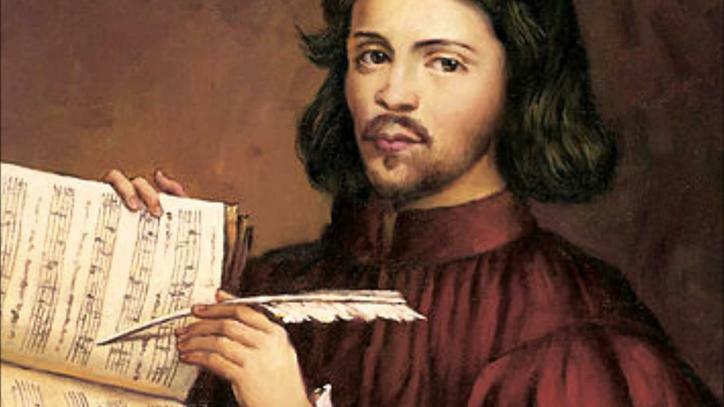 William Byrd was a famous English Renaissance composer who studied music with Thomas Tallis. He had seven children and was organist and choirmaster of Lincoln Cathedral. William became the favourite composer of Queen Elizabeth 1 and was, for this reason, allowed to be the only composer, along with Thomas Tallis, to publish music in England. Byrd was a hard-working composer who worked tirelessly on songs and organ pieces for the church. He later composed works for violin groups and dances. In his later years, William was still working hard, making sure his collection of compositions were preserved and published in new editions. of music were published when he was only 20! 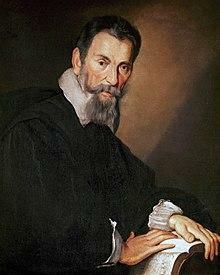 At age 23, Monteverdi was hired by the Duke of Mantua, Italy to serve as a string player in his court. Soon, he took a very prestigious job as the music director at St. Mark's Cathedral in Venice, Italy. He worked at St. Mark's Cathedral for the rest of his life.